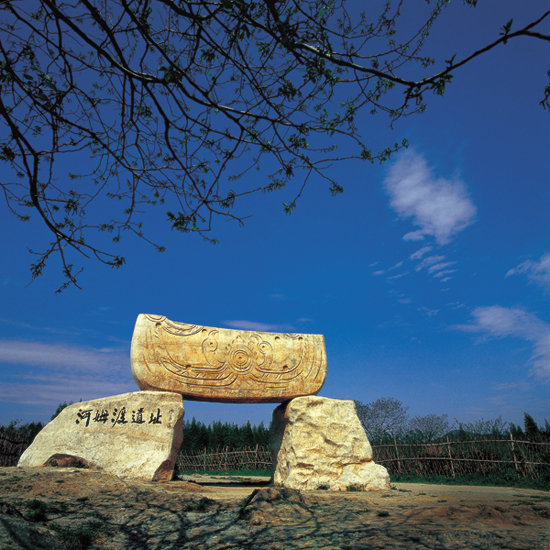 Hemudu Site, a Neolithic cultural site of about 40,000 square meters, is located in the lower reaches of the Yangtze Valley. It takes its name from Hemudu Town in Yuyao city, Zhejiang province where the site was originally discovered. 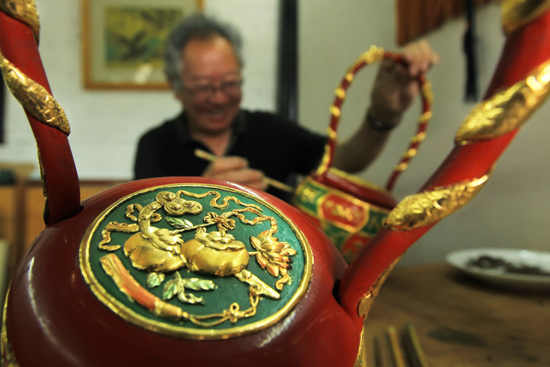 Ningbo vermeil gilt woodcarving has a history of more than 1,000 years. In the Han Dynasty (206BC-AD 220), with the development of timber construction, a kind of woodcarving decorated with painted lacquer and gold-overlaid became popular. ​Siming Nanci, also known as Ningbo Lyrics, is popularly known as "Ningbo scholarly story-telling". Due to its ornate language and graceful melodies, Siming Nanci is usually played at happy occasions such as the birthday and wedding banquets. 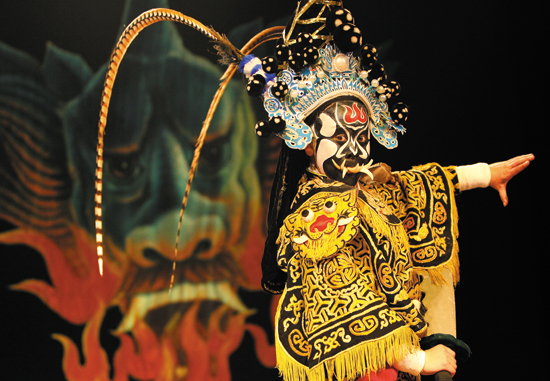 ​Ninghai Pingdiao, also known as “Flat Tone”, is an opera style created by Ninghai artists toward the end of the Qing Dynasty (AD 1644-1911) that is accompanied by a stunt known as “Teeth Playing”. 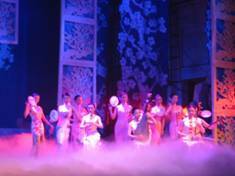 iaochuan Zoushu (story-telling-on-touring), with its special style, is one of the most important operas in Ningbo. ​Bajiu Dance (wine-presenting dance) was an old and graceful wedding dance popular in many places throughout Ninghai county. Performed by young ladies, the dance had a strong grassroots flavor and local features.